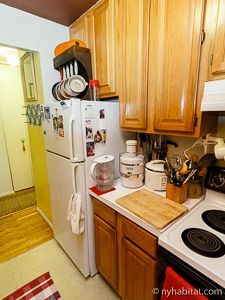 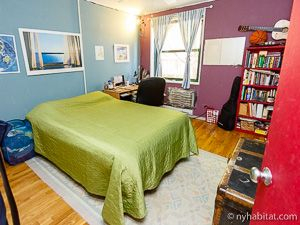 This is our reference NY-12288 These fully furnished rooms for rent are found in a 2 bedroom apartment in the West Village of Manhattan, New York. 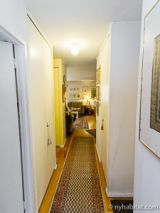 The apartment is located on the 3rd floor (considered 2nd by Europeans) of a walk-up building. 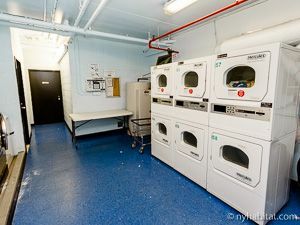 Please note that the laundry facilities are outside the building; guests have to pass through the courtyard to get there. 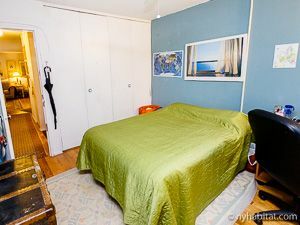 The first bedroom for rent (Bedroom 1) is furnished with a queen size bed and an additional single bed.The other bedroom to rent (Bedroom 2) is furnished with a double size bed, and a desk. 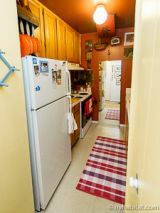 There is a shelving unit and a closet for extra storage. 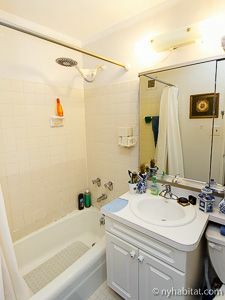 Both rooms have a western exposure. This apartment has wireless internet access and air-conditioning. The bathroom and kitchen are shared with the roommates. 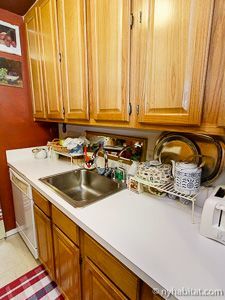 The kitchen is separate from the living space, and is fully equipped with a mircrowave, dishwasher, coffee maker and toaster in additional to all the basic necessities for cooking at home. 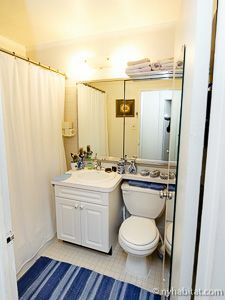 Please note that there is limited access to the living room in the evenings and at night, since the owner uses it as a bedroom. Please note that there is limited access to the living room in the evenings and at night, since the owner uses it as a bedroom.